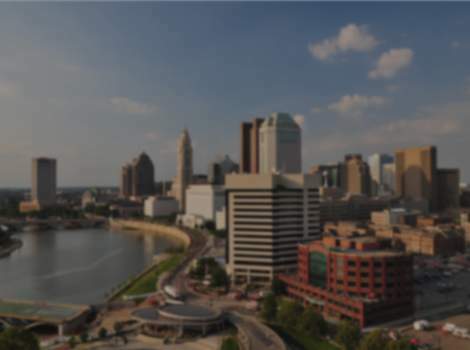 Stay in the center of it all at the Columbus Airport Marriott, the closest full-service Marriott to downtown Columbus and the airport. With corporate convenience and vacation comfort, Columbus Airport Marriott offers amenities for all guests. Make your trip easier with a complimentary airport shuttle, as well as transportation to the shops, restaurants and entertainment of Easton Town Center. After a long day, retreat to your elegant room for a movie and room service, or get some work done at your spacious desk with the help of wireless Internet access. For ultimate luxury, enjoy the upgraded rooms and service of our exclusive Concierge Level. Sample the fresh Midwestern fare at our own RiverCity Grille or take a dip in the indoor pool. For meetings and social events, Columbus Airport Marriott offers over 14,000 sq. ft. of flexible meeting space, the ease of free parking and complete catering services. But above all, our friendly service distinguishes us from other Columbus, Ohio airport hotels.